Zinc plated prevent rust and durable in use. High wear resistance of product surface. The design of serration can extend the surface between the nut and work piece,non-slip and easy to lock. 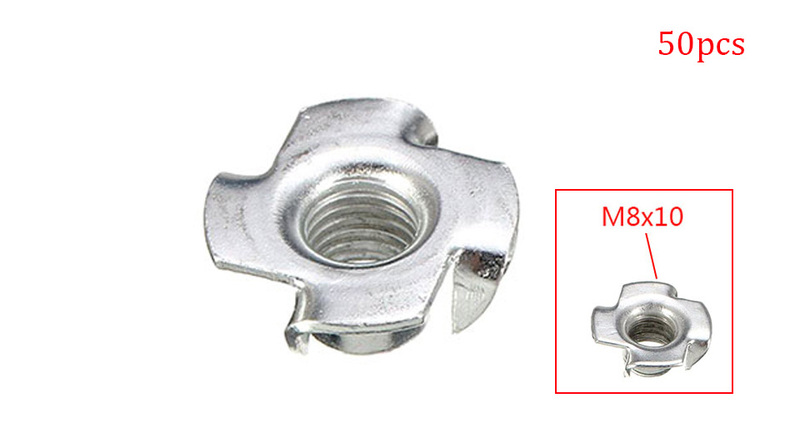 These nuts are used to provide a threaded socket in wood. Simply tap the nuts into a suitably sized hole and the prongs will hold them in right position.